I have forgotten how to change the cartridge in my HP Laserjet 6L. Could you please explain what I must do? Thank you. The HP LaserJet 6L is a good printer for a student or for personal use at home. This laser monochrome printer is capable of outputting up to 6 pages per minute and easily prints in a resolution of 600 x 600 dpi. With this printer, a duty cycle of up to 6,000 impressions per month can be completed. Operation is also possible in a humidity range between 20 and 80 percent. The HP 6L is very compact and lightweight. It is designed with dimensions of 33.52 cm, 31.24 cm in depth, and 22.86 cm in height. It has a dry weight of 6.98 kg and can be moved with ease. It is connected using a parallel connection and can be installed on Windows NT 4.0, Microsoft DOS, and IBM OS/2. This printer is powered by a Motorola 68030 24 MHz processor that also uses 1 MB to handle incoming prints. In addition, HP 6L toner cartridges are manufactured to yield up to 2,500 standard pages. When you need to replace the HP 6L toner, you'll find that installation isn't very taxing. This printer is energy efficient and only uses 120 watts of energy during operation. When the printer goes to sleep, it uses only 5 watts of energy. The HP 6L also includes a single memory expansion slot that allows memory to be upgraded to 9 MB. HP 6L toner does not break the bank either, which helps to reduce the cost of upkeep significantly. In addition, this printer allows users to print on plain paper, labels, envelopes, and transparencies. There are few downsides to the HP 6L. One of them is is the lack of multifunction accessories that are privy to more expensive models. For instance, this printer does not come with a scanner, copier, nor a fax machine. 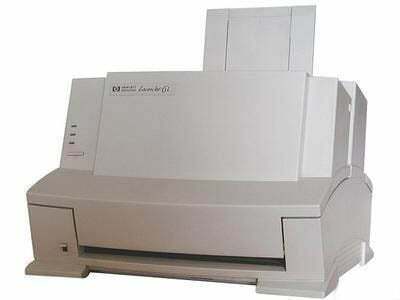 The HP LaserJet 6L is very noisy and produces a sound emission level of 55 decibels during operation. For many users, this may be unacceptable and another printer should be considered if noise is an issue. Networking is not possible with this printer and may not be suitable for a office with multiple computers that need to be able to print at the same time.